With the Related Board feature, users can connect card workflows across the account for better management and visualization. 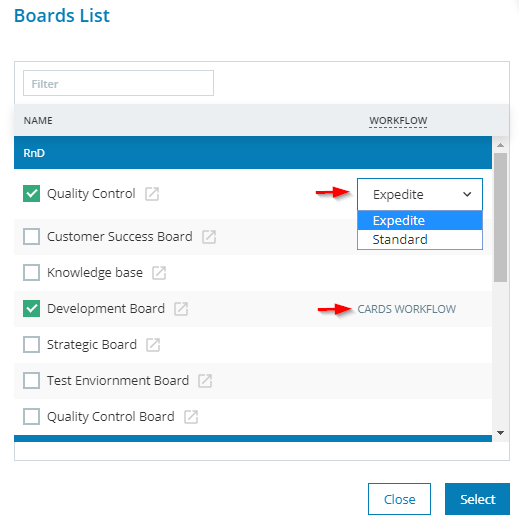 The miniature maps of all boards' workflows that you choose to relate will show up in a side panel, allowing you to easily create and track linked cards between them. 2. How to use the Related Boards feature? Step 1: Open the Board that you want to relate with other boards (cards workflows). Step 2: Select the Related board's icon, located in the Sidebar to the right of your board interface. Step 3: The system will notify you that the current board has no related boards yet. It will prompt you to select the boards you want to connect. All related boards will be displayed in the current panel. To select boards, click the plus icon or follow the link at the bottom of the message. Step 4: The Board Lists panel opens up. It contains a list of all boards in your account. Checkmark the Board name to relate its respective Cards Workflow. If the Board contains multiple workflows, you will be able to select a specific one. Click Select at the bottom of the panel to relate the boards. Once selected, the flows of all related boards get visualized in the dedicated Related Boards panel (Img.1 - right side panel). This side panel also displays all cards from the boards you selected that are linked to any card on the board that you have currently opened (Website Company X or the equivalent in your context). 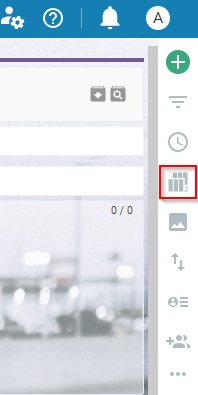 -> use the arrow at the top right corner to open the related board in a new tab. -> use the delete icon if you want to remove a related board from the panel. * Right-click to open the image in a new tab for a better view. Drag & drop a card from the board onto a related board in the dedicated panel to create a new linked card. Drag and Drop cards in the Related Board panel to easily create further dependencies. Select Ctrl and click over a card to apply a filter and get a view of the linked cards in the dedicated Related board panel.